I’ve met a new friend recently who roasts his own coffee beans. I was fascinated so I decided to head over to his place to watch the action and try his coffee. I was definitely expecting something amazing and he didn’t disappoint. With my two year old son in my arms we watched him slow roast the beans on his stovetop in a large iron skillet. When finished he took the beans outside to remove the chaff, grind them, and then he brewed some excellent coffee from both his French press and his Aeropress (which I had never tried before). I was blown away at how simple the process was and how tasty the coffee was. Like any coffee geek I started thinking that I needed to do this too. After all, he didn’t use any equipment that I didn’t already have. I already have a heavy skillet, wooden spoon, mesh colander – apparently this is all you need to start out with. It did get me thinking though. Doing a bit more research on home roasting I found that green coffee beans were actually cheaper for me to buy from my local roasting company. Buying them online you can usually get the beans for about half of what you would pay for fully roasted beans. And when you buy online lots of the companies sell them in 5 pound bags or lots even bigger than that so you are getting a bulk discount. I thought, wow, that’s a lot of beans. I would never buy that big a bag of roasted beans, they would not stay fresh. 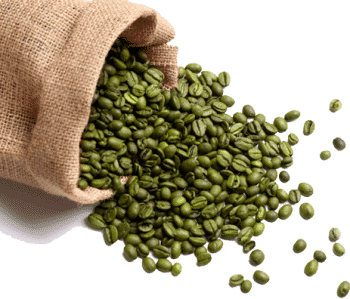 Then I thought – how long do green coffee beans last anyway? Do green coffee beans stay fresh longer than roasted coffee beans? Turns out that a dark roasted bean stays fresh for up to a couple weeks at most while a light roasted bean starts losing their freshness after a week to 10 days but green beans in an unroasted state can be good for a year or more if stored properly! Green Beanery keeps it simple. They recommend storing for no more than a 2-3 years in a breathable bag at room temperature. This seems pretty doable to me. Digging further I found an excellent article on green bean coffee storage for distributors and retailers originally published in the Tea & Coffee Trade Journal way back in February of 1999. There’s tons of information in that article and it’s all fascinating but the key take-a-way for the home roaster is that minimizing temperature swings and humidity changes is the best way to lengthen the life of a green coffee bean. For this reason storing in a refrigerator is a no-no. There are just too many ways for condensation to form on the beans. By now, we’ve learned that unroasted beans last longer than roasted beans. Heat plays an important factor. Green beans are not exposed to heat. Its natural antioxidants, minerals and nutrients remain intact, preventing the beans from deteriorating. However, there are other important factors to consider to ensure that green coffee beans remain fresh even for long-term storage. Moisture – Too much moisture can cause mold and mildew build up. This will destroy all your green coffee beans. While you can let it air dry, the molds could affect the taste of your coffee beans and the stale-like smell can retain even after you roast it. You can place your green coffee beans in a vacuum-seal pack, zip lock or airtight containers to avoid exposure to sudden temperature change and humidity. Temperature – Ideally, green coffee beans can be kept at room temperature, which generally falls between 20 and 25ºC (68 to 77ºF). Light levels – Once your green coffee beans are air-dried, it’s time to pack them and store away from direct sunlight. Too much light can cause premature aging and it can lose aroma and flavor faster than expected. Pests – Because we are dealing with an organic matter here, green coffee beans can attract bugs, mites and other pests. But if you ensure airtight packaging, these pests will die in 48 hours because there is no air inside the container. There’s really nothing special about green coffee beans. These are simply unroasted coffee beans and they are best kept fresh in an airtight canister on your counter. Larger portions, say 5-10 pounds of unroasted beans can be stored in a lower cabinet in a sealed tupperware container or even a burlap bag if you plan on roasting them up within a couple of months or so. The flavor of unroasted coffee is fairly stable when stored in a cool, dry place. Green coffee will not have a drop in cup quality from about 6 months up to 1 year from arrival date. All green coffee beans should be kept cool and dry at room temperature, and away from direct sunlight. The refrigerator is too moist for green beans and the freezer is too dry. In the trade, the general rule in terms of climate for green coffee storage is this: if it’s comfortable for you, then your coffee is happy too. In short, green coffee beans can remain fresh for a long period of time as long as these are kept in a cool, dry place. Avoid direct sunlight, moist or damp area. Green coffee beans are available from online sellers and local coffee roasters. Most coffee shops don’t sell green coffee beans. You can also try visiting organic stores and weekend markets to check if they offer green coffee beans for sale. I for one will be buying a large lot of beans and portioning them out. I’ll store a working supply in the kitchen cabinet where it’s a comfortable 69 degrees or so and the rest will be in mason jars or Ziploc bags out in the garage next to the potatoes. Although a jar or Ziploc bag isn’t necessary for beans to keep they will stop most critters from getting into the beans. Looking to buy beans? Don’t worry about freshness. Buy in bulk, save some money, and store them in a safe place around the home. Sounds like fun to me.